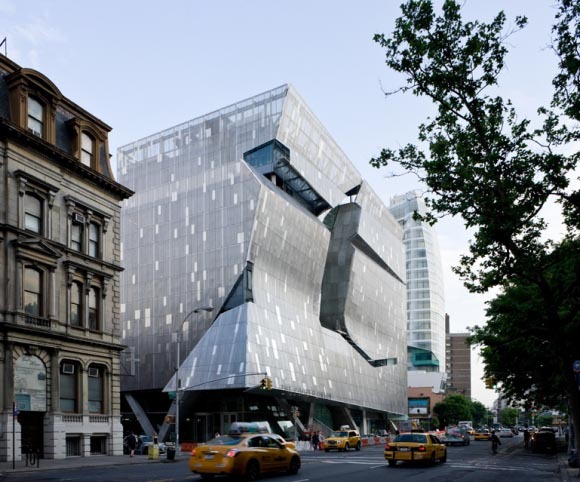 41 Cooper Square is a new Academic Building at Cooper Union. 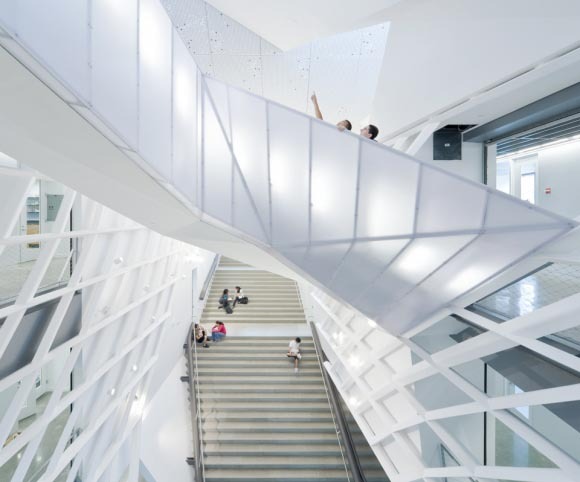 A nine story structure, the facility reflects the institution’s stated goal to create an iconic building; one that reflects its values and aspirations as a center for advanced and innovative education in Art, Architecture and Engineering. The structure’s four articulated facades rise above a two story recessed glass-framed base with exposed angled cast-in-place columns. 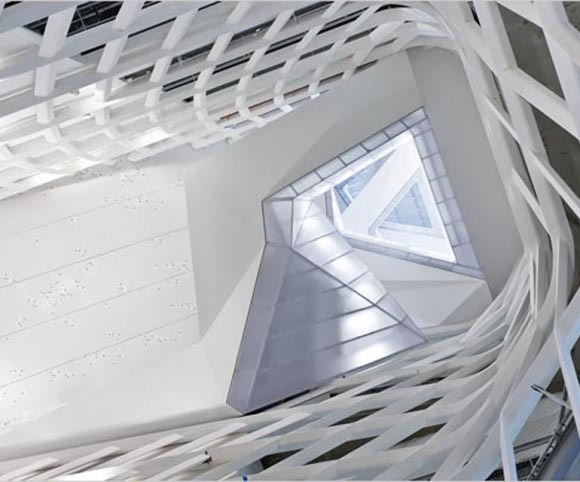 From the entry lobby, the primary circulation occurs within a central atrium or “vertical campus” that rises to the full height of the building. 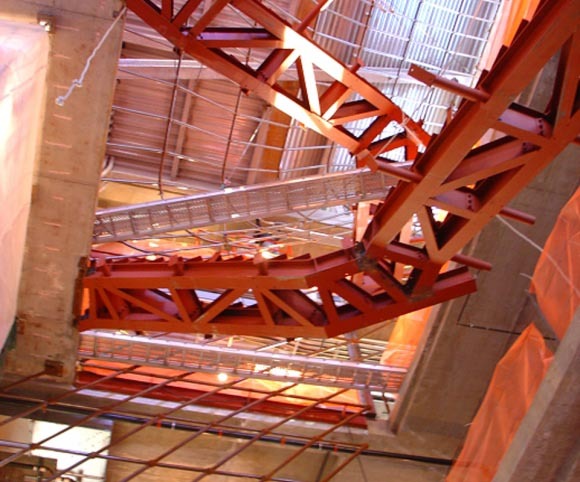 This open connective space, spanned at various levels by structural steel stairs and concrete bridges, allows interactive movement throughout the building while opening up view corridors to adjacent buildings. Varying structural materials compliment the desired architectural concept and support a host of sustainable initiatives designed into the structure, earning the project a LEED Platinum-level certification for green design.